The AIABPM has partnered with The Cosmopolitan of Las Vegas, the most luxurious hotel on the Strip, to bring you these deeply discounted room rates on the week of the meeting. This is one of the best times of year to visit Las Vegas. These rates are available for a limited time only. Book now to take advantage of these great prices! Same nightly rates are available three days before and three days after the conference subject to availability. Group rates available from May 11-21, 2019. Check-in time is 3:00pm and check-out time is 11:00am. Room reservations must be made by April 23, 2019 prior to 6:00pm (PST) to guarantee the reduced rate. All reservations must be guaranteed with a deposit for the first night’s guest room and tax. We recommend you make your reservations early to take advantage of this remarkable opportunity. Attendees can now book for this event at 855-435-0005 (toll free). Please ensure that when calling, each attendee references the group name Advanced Institute for Anesthesia Billing and Practice Management and the group code, SUNVS9. Attendees can also book using Advanced Institute for Anesthesia Practice Management’s unique passkey link . There is a per room per night resort fee of $30 plus tax that provides the guest with the use of resort services and amenities that are designed to enhance the guest experience. This fee includes: high speed internet access (in-room and public areas), 24-hour fitness center access, unlimited local, toll-free and domestic long distance telephone calls (all 50 states) and tennis court access (based upon availability). Please note: one night’s room & tax will be charged as a deposit at the time of booking. Upon arrival the credit card used to reserve will need to be presented, and further authorization for the remaining room & tax plus $50 per day for incidentals will be required. At the time of check out/departure the deposit will be credited toward the final bill and the remaining balance will be charged; any leftover authorization will be released back onto the card used at the time of check in. 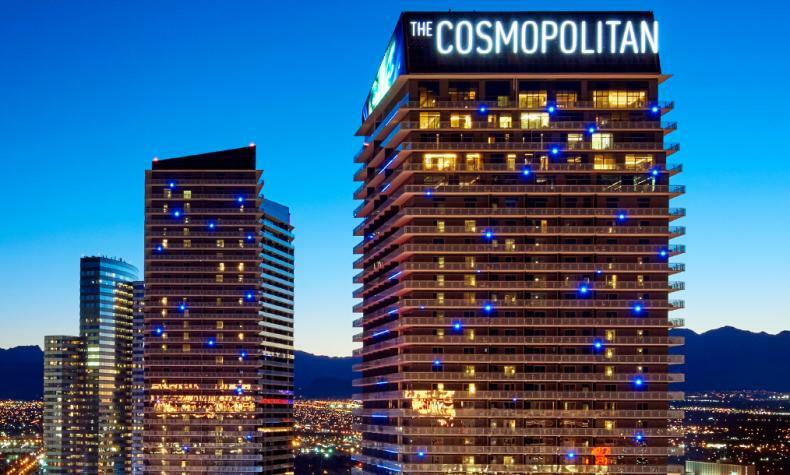 Should you choose to have any of your guests’ room & tax charges applied to your master credit card account please let The Cosmopolitan know no later than seven (7) days prior to arrival.